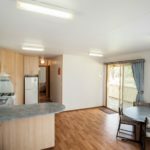 Self-contained cabin with a fully equipped kitchen, ensuite, air-conditioning/heating, TV, living area, enclosed veranda area, sleeps up to six. 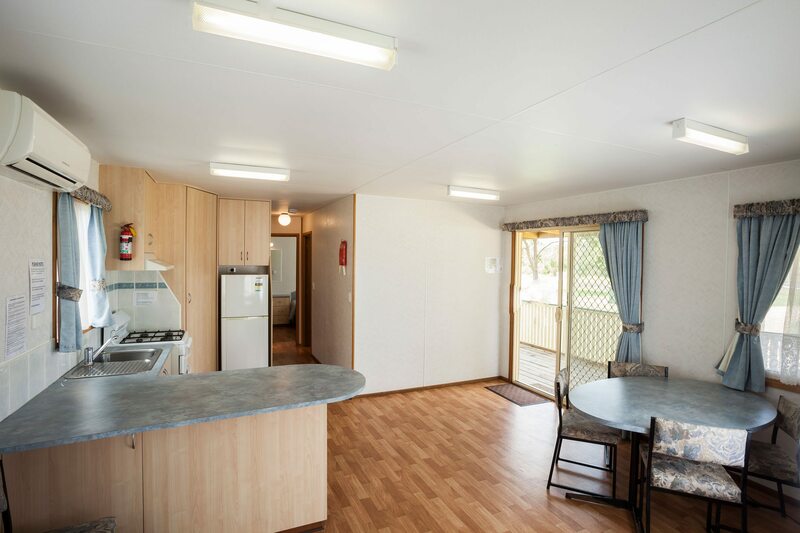 Self-contained cabin with a fully equipped kitchen, ensuite, air-conditioning/heating, TV, sleeps up to six. 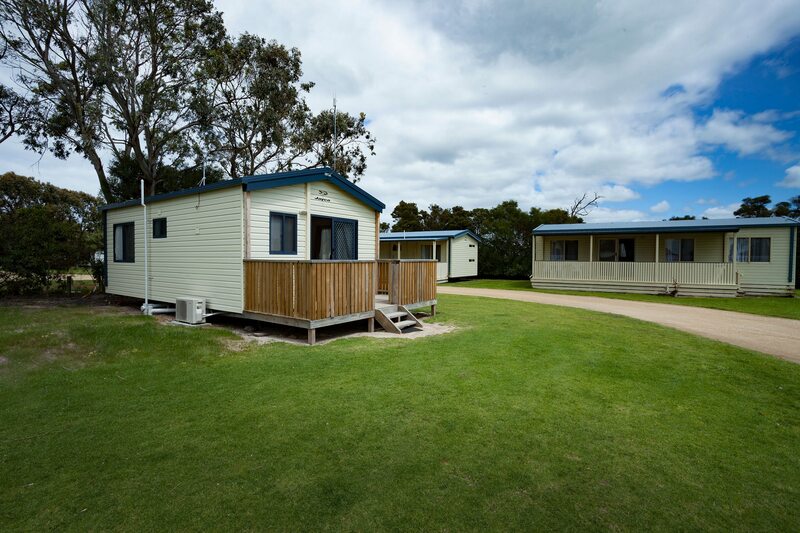 A large selection of powered sites, some with close proximity to amenities. The ideal camping spot for family groups, with shaded and unshaded sites available. 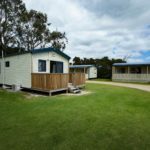 A selection of unpowered grass sites, the ideal camping spot for family groups. Shaded and unshaded sites available. A limited number of 6 and 12 month permits are available for powered sites. Contact the park office to find out more. Please note that these permits come with limitations on the number of consecutive nights and total nights of occupation during the permit term. 5 night minimum Christmas/School Holidays. 4 night minimum Easter & Melbourne Cup. 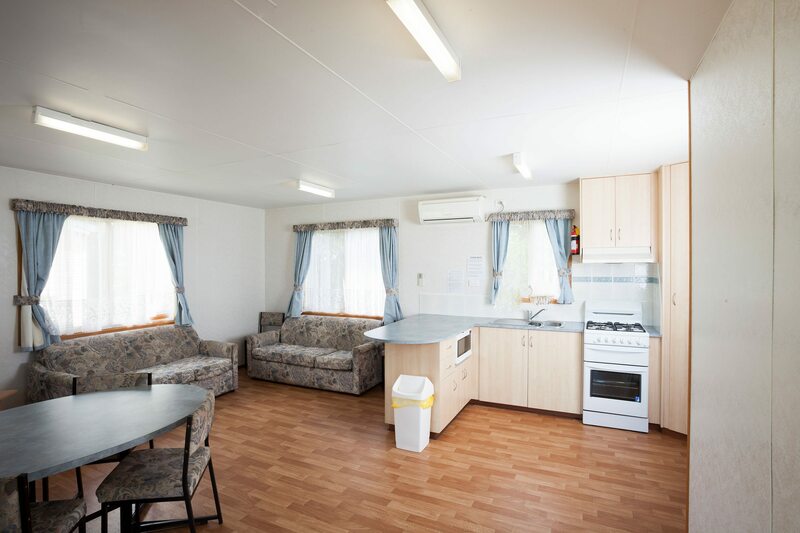 3 night minimum all other long weekends. Peak: balance paid 30 days prior to arrival date. Off peak: balance paid on arrival unless otherwise specified. 14 days or less prior to booking – No refund. 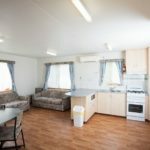 If cabin/site is rebooked for same tariff – full refund minus $20 administration fee.